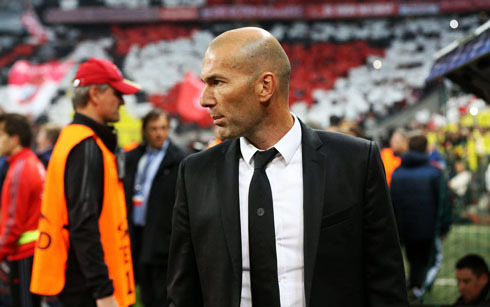 Real Madrid managed to shock the World with a stunning 0-4 win against Bayern Munich in the Allianz Arena this Tuesday night, and have now moved forward to the Champions League final. 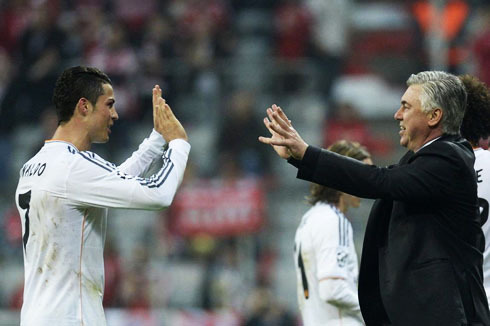 Carlo Ancelotti's men left no margin for doubts about who was the strongest side on the pitch and built an historic victory with goals from Sergio Ramos and Cristiano Ronaldo, as both scored a brace each. 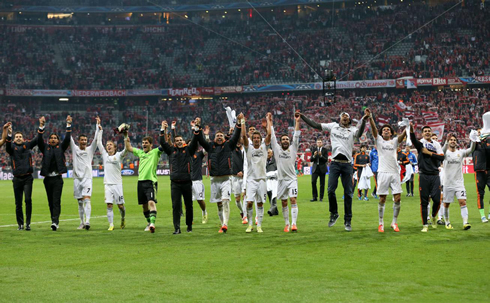 The Champions League final is no longer a mirage for the Madridismo! Real Madrid is now one game away from wrapping up their 10th European Champions title, after beating Bayern Munich in their own backyard with an impressive 0-4 win and going through with a 5-0 score on aggregate in their favor. 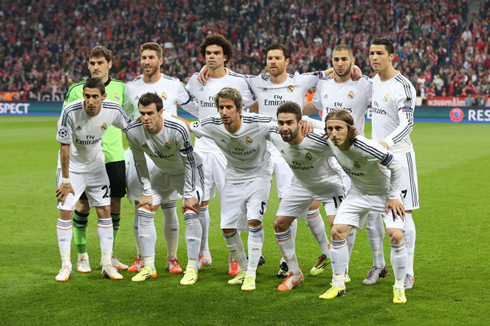 The whole team played incredibly well in what was surely one of the best performances of the season so far. 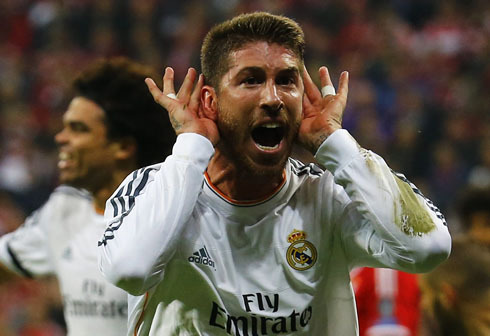 The first two goals of the game were surprisingly scored by Sergio Ramos, who got to have his very personal revenge against Bayern and Manuel Neuer, after having missed a decisive penalty-kick two years ago. 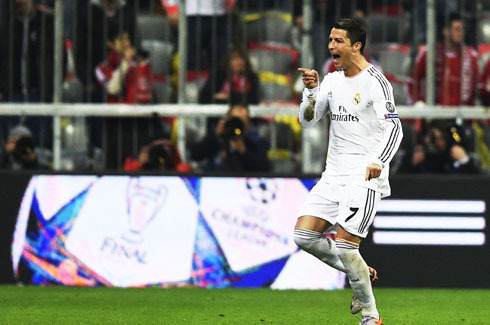 The icing on the cake was seeing Cristiano Ronaldo performing at his best and adding two more goals to his record-breaking goalscoring tally in the Champions League this season. The Portuguese forward reached his 16th goal in the competition after 10 appearances, and by doing that, he has set a new all-time record. 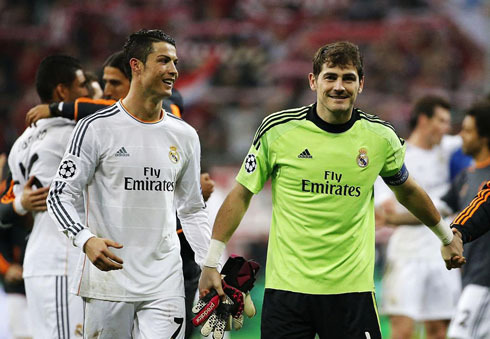 Real Madrid will now have to wait for tomorrow in order to know who they will face in the Champions League final, which is scheduled for May 24, in Lisbon. The opponent will come out from this Wednesday's Chelsea vs Atletico Madrid semi-finals clash, in a game where the tactical dimension is expectedly going to play a huge part in the outcome of the tie. 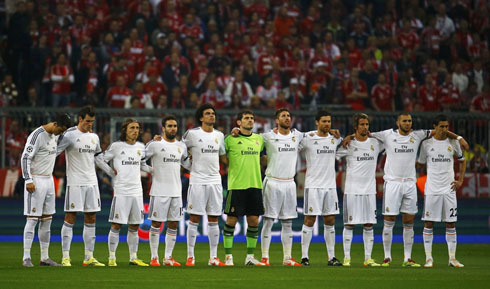 It's been a long wait since Real Madrid last achieved a UEFA Champions League final, more precisely 12 years! 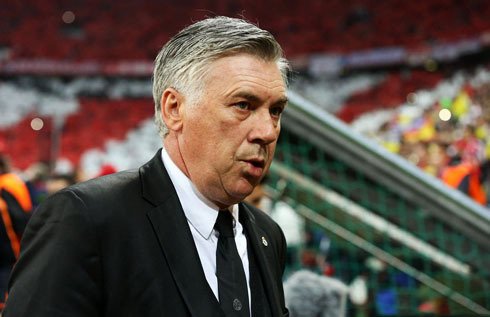 Carlo Ancelotti didn't hesitate in moving forward into this semi-finals second leg with his BBC attacking front (Bale, Benzema and Cristiano), despite the many concerns and fears about his team becoming more exposed to Bayern Munich's poisoning possession and "tiki-taka" style of game. It turned out that the Germans, once again, ended up bumping against a very well organized defense and both Cristiano Ronaldo and Gareth Bale seem to have realized what they had to do defensively in order to keep the team balanced at all times. The Merengues were not only lethal in their counter-attacks, as they've also inflicted some quite irreversible damage in Bayern Munich's intents through all sort of set-pieces. They first scored from a corner-kick, then a header coming from a free-kick cross, followed by a fast counter-attack play and finally they sealed the deal through a direct free-kick in the dying minutes of the second half. The only negative note from tonight's game was Xabi Alonso's yellow card, which will force him to miss out the Champions League final due to a suspension. This Tuesday night tremendous victory started being drafted in the 16th minute of the first half, when a corner kick on the right side of the attack allowed for Luka Modric to measure up a perfect cross into the far post. Waiting for the ball with conviction was Sergio Ramos, who headed a true bullet straight into the back of the net, leaving Manuel Neuer with almost no chance at all to block the shot. Real Madrid had just surprised everyone in the Allianz Arena and by scoring that very important first goal, they knew that Bayern would now have to risk even more and keep getting exposed to more counter-attacks. Bayern Munich were still dizzy from such a determined start from the visitors when they ended up conceding the third goal of the night. Shortly after we had crossed the first half of an hour, Real Madrid decided they weren't quite done yet in terms of marking their superiority and in what was a terrific and an exemplary counter-attack play, they extended their lead into a mesmerizing 3-goal advantage. The goal was a product of a really fast break orchestrated by the BBC (Benzema, Bale and Cristiano Ronaldo), with the Welshman delivering the final assist to CR7 just after he made a great run from the midfield line right until Bayern's box. Completely alone and with the ball in front of him, Ronaldo finished it off with a right-foot strike and set the score at 0-3 still before half-time. Pep Guardiola seemed shocked with what he was witnessing from the bench and in an attempt to minimize the damage during the break, he decided to switch Bayern Munich's only forward Mandzukic, for a defensive midfielder very well known in Spanish football, Javi Martinez. The game didn't change much in the following 45 minutes of the second-half though and despite that the home side kept having most of the possession, it was Real Madrid who got to strike the final blow. We were about to enter stoppage time in the Allianz Arena when Cristiano Ronaldo got fouled in a dangerous area, when he was already very near of Bayern Munich's box. The former Manchester United player didn't waste the opportunity to score another memorable brace in Germany and struck the ball beneath the wall to set the final score in 0-4. Truly remarkable! That was Ronaldo's 16th goal in the Champions League this season (in 10 games), which sets a new competition record for the most goals scored in a single year campaign. The previous record belonged to Lionel Messi and it had been set in 14 goals. Real Madrid will now wait patiently for the outcome of tomorrow's game between Chelsea and Atletico Madrid, knowing that no matter who comes out live from that match, it will surely be a worthy opponent and a side deserving all their attention on May 24. 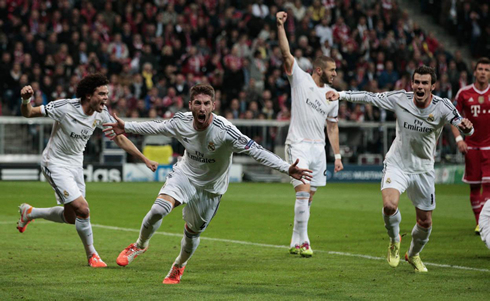 After 3 consecutive years falling in the semi-finals round, "La Décima" has never been so close as it is now! Cristiano Ronaldo next game for Real Madrid will be against Valencia, for the Spanish League 'La Liga', on May 4 of 2014. You can watch Juventus live stream, Real Madrid vs Valencia, Valencia vs Sevilla, Chelsea vs Atletico Madrid, and Juventus vs Benfica, all matches provided from our soccer live pages.